Arena of Valor, the popular MOBA title that's landing on the Nintendo Switch in the coming months, has created quite the reputation for itself. Developed by Tencent and known in Eastern territories as Honor of Kings, the game was called out by the Chinese government as being so dangerously addictive that it was likened to both a drug and a poison. The pressure put on the game was so immense that the developers took it upon themselves to institute curfews on the game, only allowing players of a certain age to play for a set amount of time. While this news isn't exactly positive, it certainly made for good press, and Tencent is likely more than aware that they've got a hit on their hands. Perhaps it's no surprise that they're finally ready to bring the game to players all across the world. 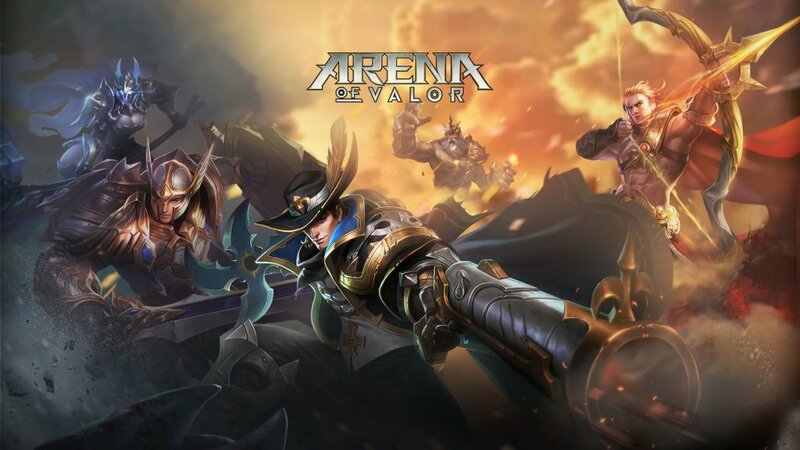 Though it's been available in European terroritories for some time, Arena of Valor hasn't yet made its way to North America; however, that's about to change, as Tencent has just recently opened up pre-registration for the game, and players who jump in early will have the chance to earn some free in-game loot, including a skin for hero Ormarr, a double experience card, and 108 gems. For those who are yet unaware of how the game works, Arena of Valor is a multiplayer online battle arena title, or MOBA, that offers players the chance to control one of over 35 different heroes, all of which with their different archetypes and play styles. Several different gameplay modes are included spanning everything from 5v5 play down to 1v1 battles, and the game even has a special new Hook Wars mode that should test the skills of even the most diehard MOBA fans. No specific release date for the game has been given, and that's true both for mobile platforms as well as the Nintendo Switch. With that said, the Switch version of the game is slated to arrive sometime this Winter, so players shouldn't have to wait too long before they can get a first-hand look at one of the more controversial games of this year regardless of whether they intend to pick it up for their smartphone, tablet, or Nintendo Switch system. In order to pre-register for the game, simply head over to the official Arena of Valor website. Discover more great free-to-play experiences by checking out some of the titles we've featured on our list of the Best Free To Play Games.